I don't care --> Why am I here? Group Chat Digital Forensics Tool was designed to visually display chat conversations as they are displayed on mobile devices, in chat bubbles. 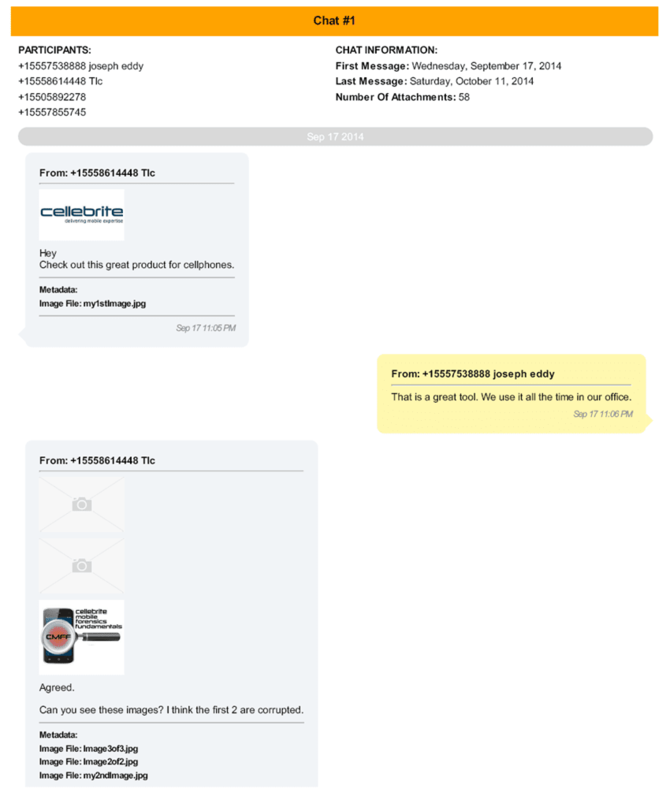 Cellebrite UFED PA is an extremely useful tool, but properly displaying SMS/MMS and Chat conversations for reports can be frustrating especially if those messages contain images or video. This tool was designed to solve this issue. What are your thoughts on this tool?